The race for 5G network deployment is upon us and it is imperative for end-users to achieve both high data rates and reliable coverage. Millimeter wave (mmWave) has changed the RF landscape of cellular network deployments, placing a strong requirement on detailed, sensitive and portable measurement solutions. With LTE playing a strong role in 5G, simultaneous measurements of LTE and 5G mmWave are necessary to achieve full insight into coverage and quality end-user experience. The 5G Backpack system is the ideal solution for 5G network coverage requirements. As a fully customizable system, it utilizes a network scanner based measurement solution for optimized sensitivity and portability. With network optimization software ROMES integrated into the TSMA6 network scanner, it is a fully autonomous solution that can operate in mmWave, sub 6 GHz or both bands simultaneously. Mobile Network Coverage. With the addition of a down-converter in the 5G Backpack system, the TSMA6 scanner operates effortlessly at mmWave frequencies. Additionally, with the broadband 24-40 GHz omni-directional antenna, coverage measurements are easily captured while walking around. Coverage Measurements Made Easy. The TSMA6 network scanner and ROMES software work together to easily detect and demodulate nearby base stations and their specific beams. With these mapping and coverage tools, engineers can easily identify the top serving cell and beam at each location in a deployment area. Simultaneous 5G mmWave and sub 6 GHz LTE Measurements. 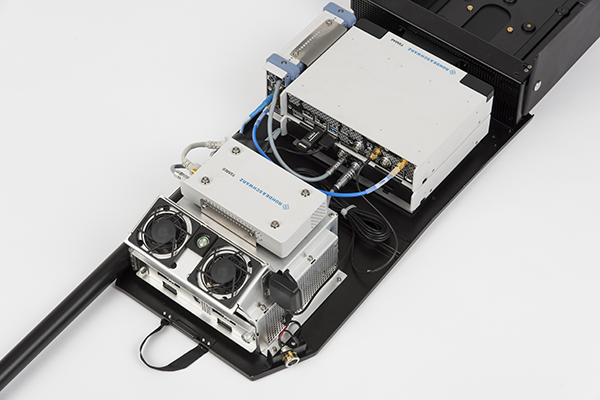 With two scanners included in the 5G Backpack system, it is equipped to analyze both mmWave 5G deployments and sub 6 GHz deployments of 5G, LTE, 3G and more simultaneously. Full Solution Upfront. Our 5G Backpack System is ready to measure your 5G network from day one, with no recurring or ongoing licensing costs. The 5G Backpack system utilizes a scanner based coverage measurement approach, which has advantages over traditional swept spectrum or static handheld signal analyzers. The 5G Backpack system allows users to measure with increased sensitivity and dynamic range, adds pre-selection, allows coverage measurements with mapping, improves battery life and can be used in both indoor and outdoor environments. ROMES network optimization software is the perfect complement to the 5G Backpack System, always up-to-date with the continually evolving 5G NR standard. Running on the TSMA6 un-banded network scanner contained within the backpack, it repeatedly logs position, 5G and legacy technology measurements in real-time. Once the measurements are collected, the information is conveniently displayed in several easy to understand views. With increased sensitivity and dynamic range, adds pre-selection, allows coverage measurements with mapping, improves battery life and can be used in both indoor and outdoor environments. Fill out the form below if you have questions about Rohde & Schwarz products or services.